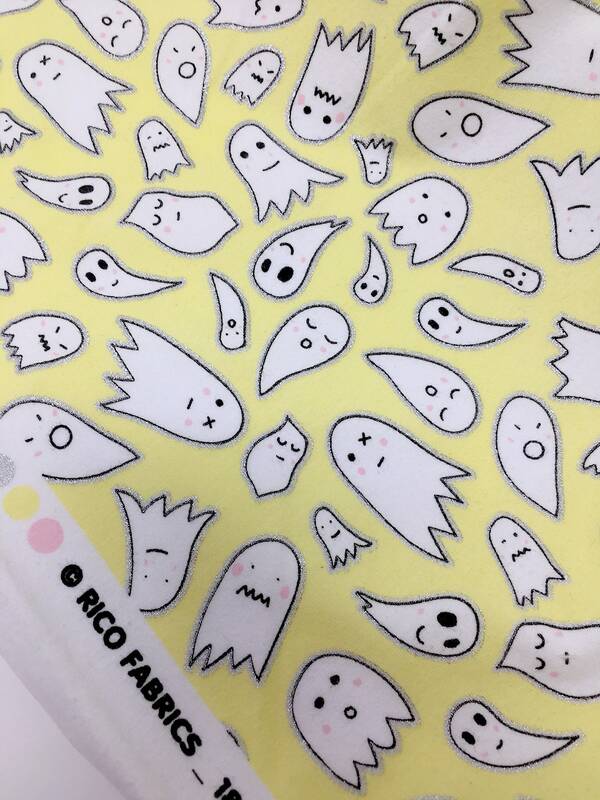 Limited Edition Rico ghost print cotton jersey. 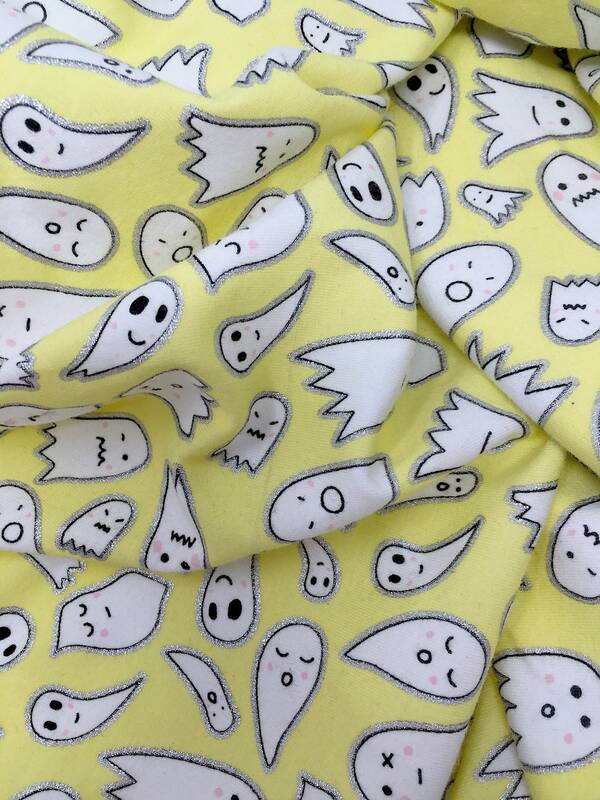 This fun yellow cotton jersey is perfect for leggings or other clothing projects. 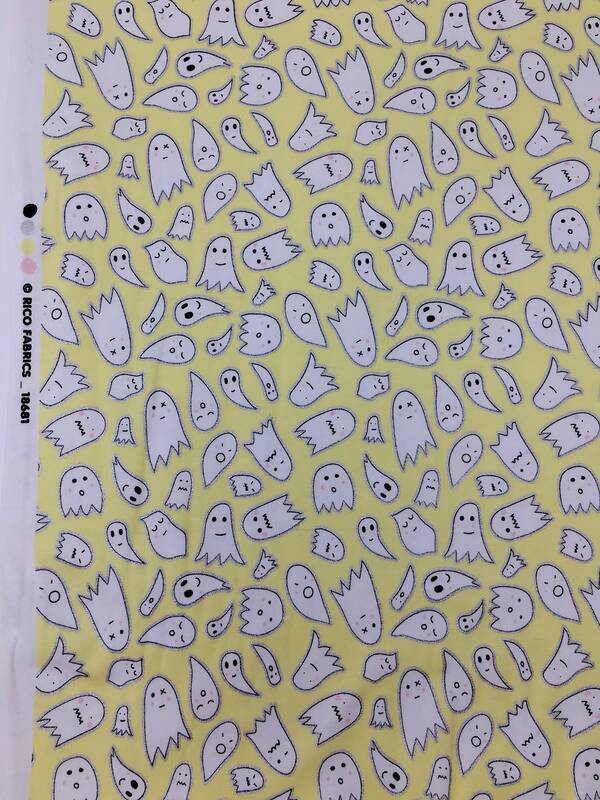 This fabric measures 140cm or 55 inches wide. 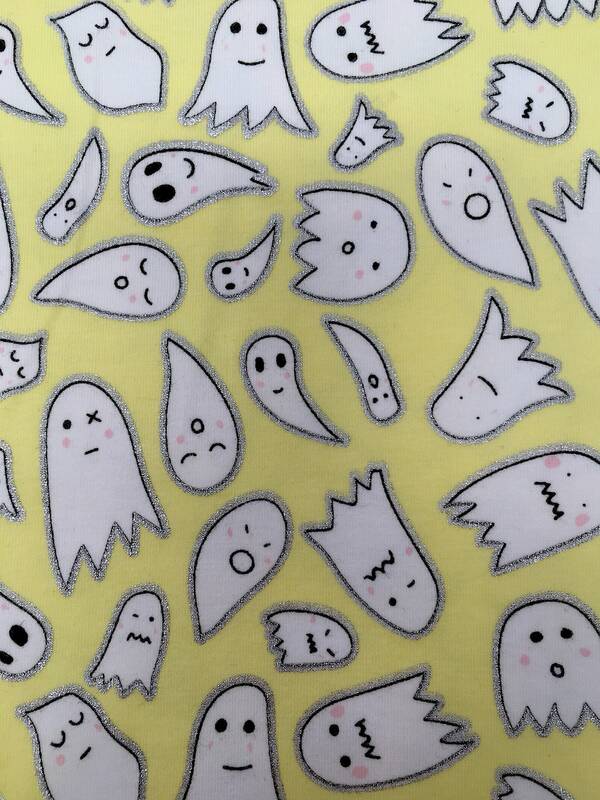 95% cotton 5% elastane stretch knitted jersey. 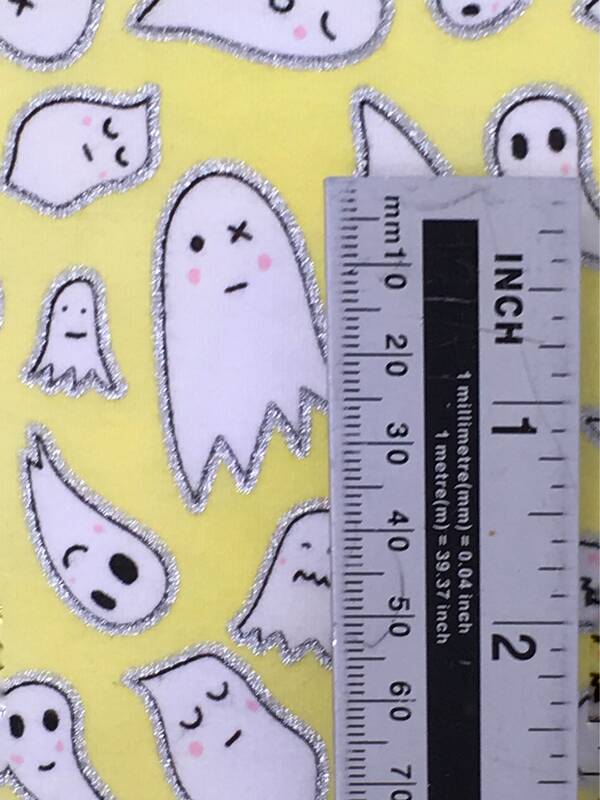 Silver glitter detail print. 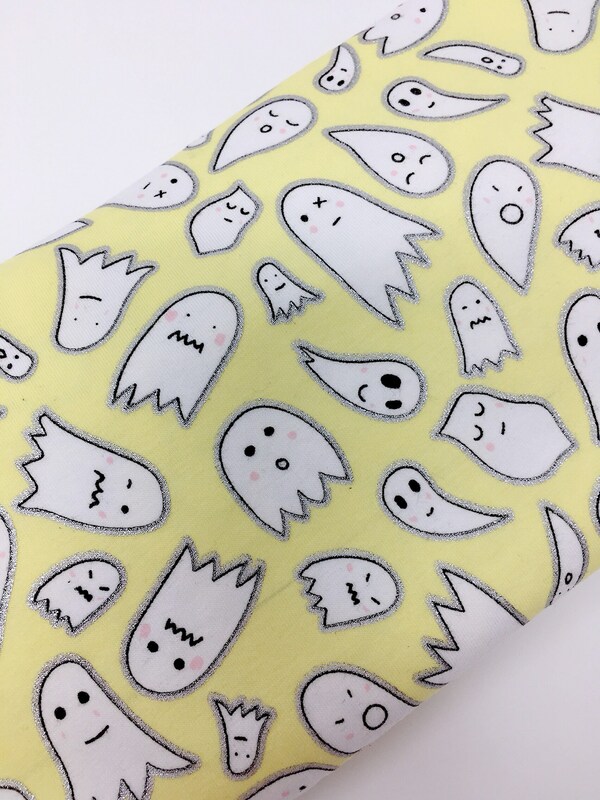 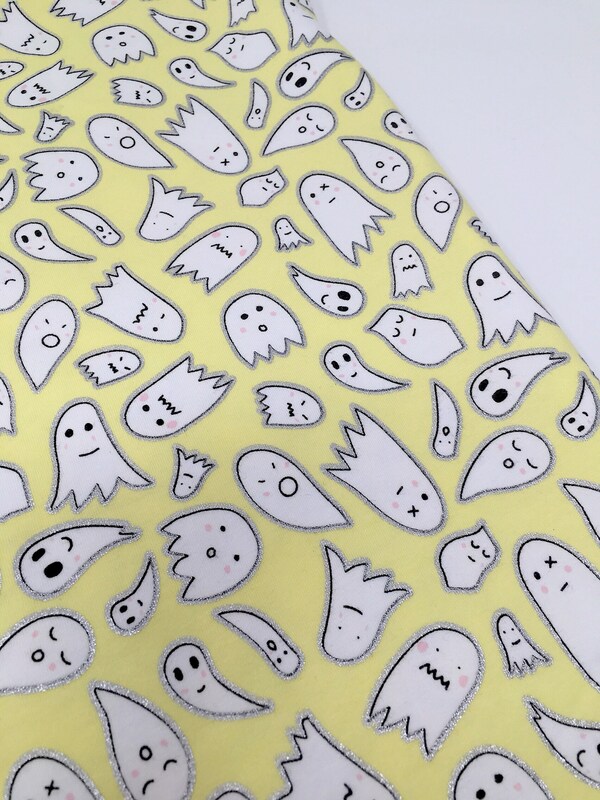 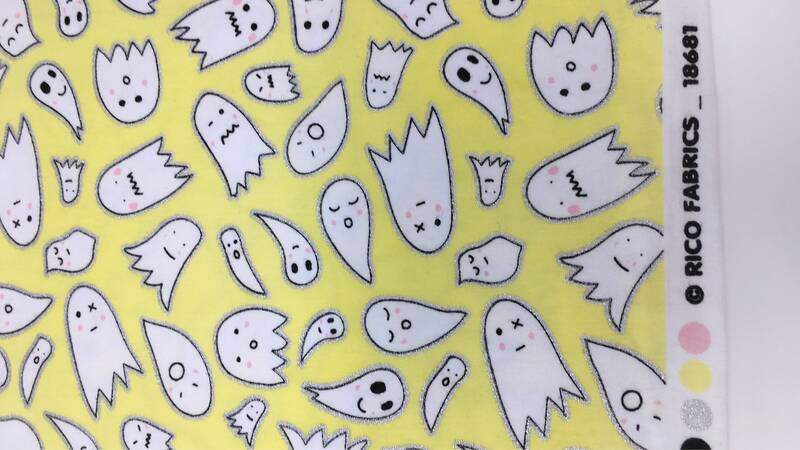 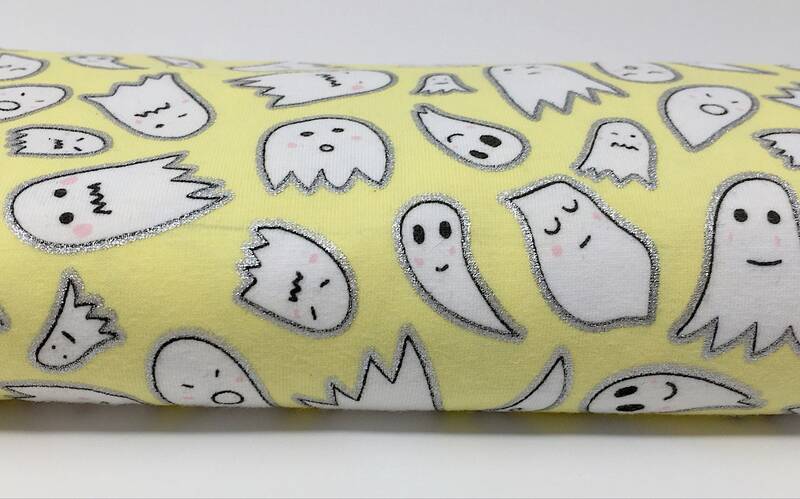 This fabulous and spooky fabric weighs 200 GSM.